Can you tell how excited I am for April Fools Day. Unfortunately, most of my tricks are done on my kids ahead of time so I can get them on the blog before April Fools Day. Last week, I think my son’s friends were mortified that he ate a ham and cheese sandwich that came out of an uncrustable for his April Fools Day Lunch Prank. I love having fun with food and April Fools Day allows my creativity to soar. 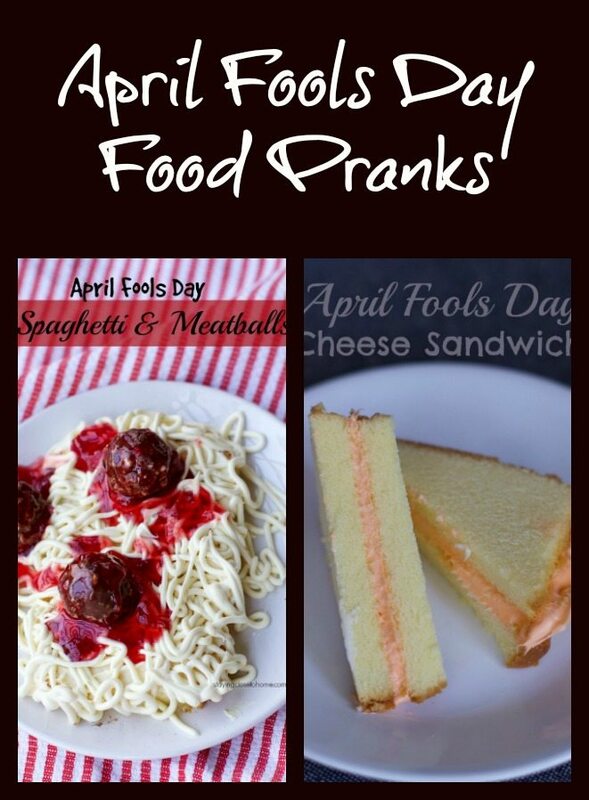 I have included 2 April Fools Day food pranks I did this year, as well as a few other blogger’s April Fools Day Food Pranks. Hope you get some inspiration to fool your kids or co-workers too. Everyone loves cheese sandwiches. 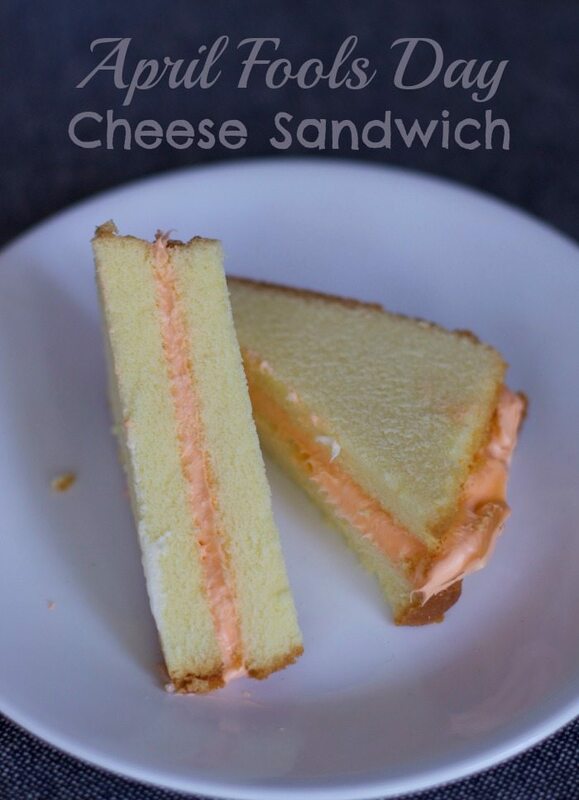 Well cut some slices of pound cake, color some frosting orange and you have yourself an April Fools Day Cheese Sandwich. Just imagine these in the kids lunch boxes. 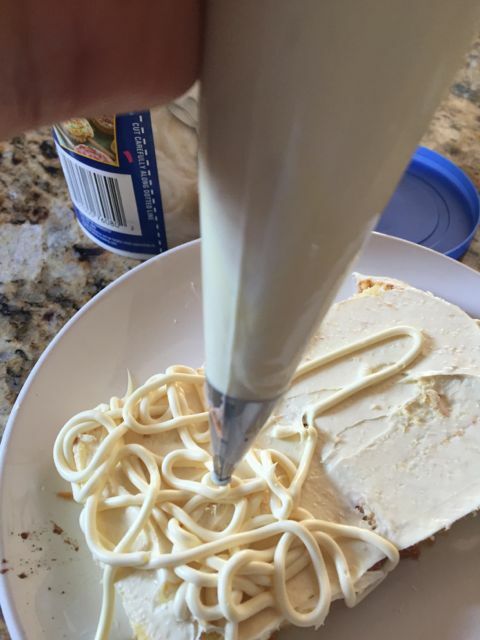 Place this frosting into a piping bag with a small circle tip. 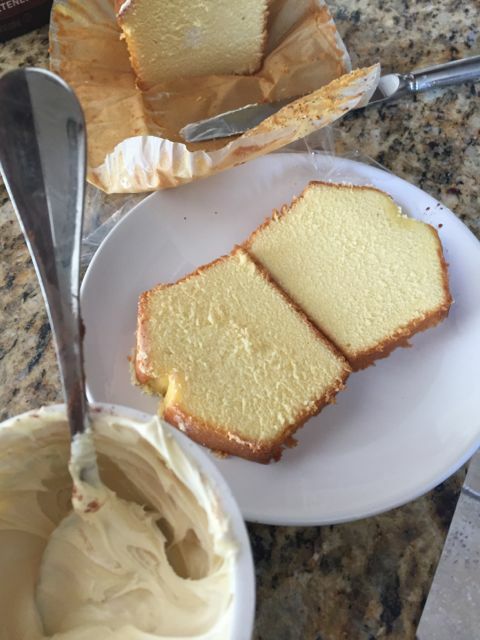 Then spread the frosting on top and over the sides of the pound cake. 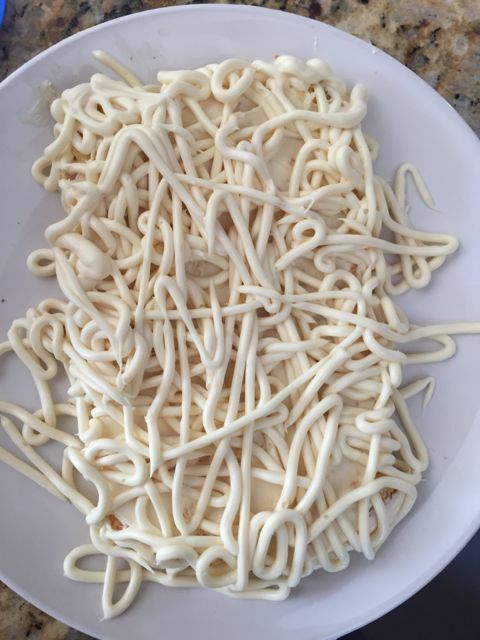 We used strawberry ice cream topping to create the “pasta sauce. 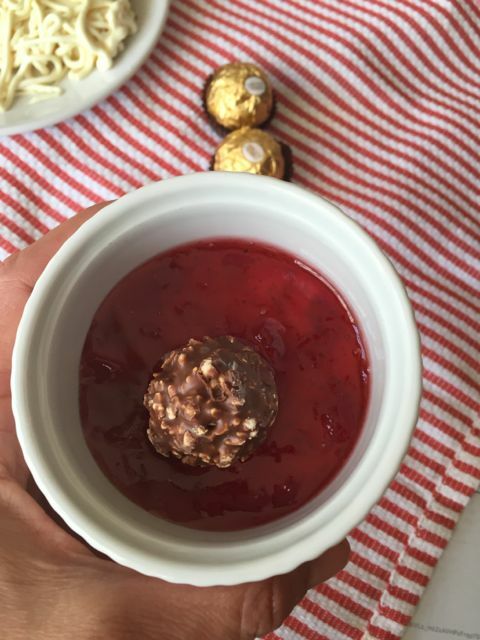 In a small bowl dip Chocolates into strawberry topping. 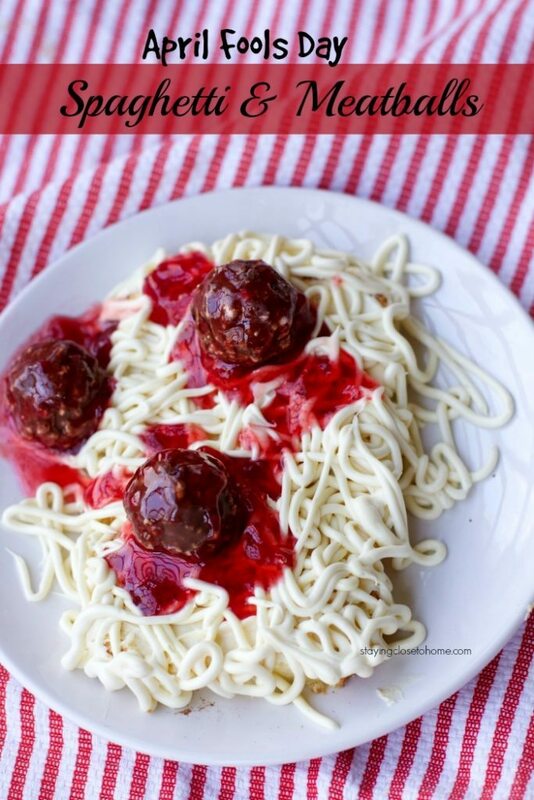 Add some to your pasta and top with your strawberry covered chocolates. 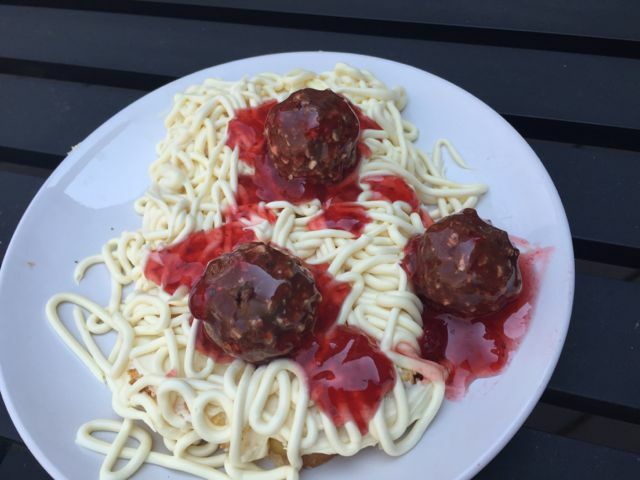 Enjoy the surprise on your kids face when they think they are getting pasta with meatballs. Our April Fools Day sandwich swap is a super fun one to do in your child’s lunch boxes. The kids won’t know what’s inside their pancakes with these Breakfast Pancake Surprise. Be sure to check out our previous years tricks and april fools day pranks. 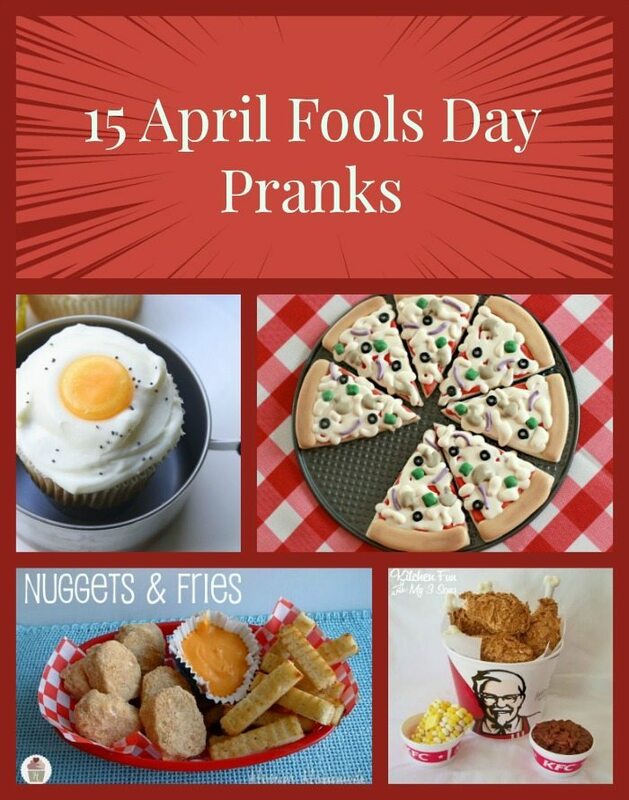 What are your favorite April Fools Day Food Pranks? So true Donnica, these are funny all year round. that is a classic one, I need to remember that. Last year I froze the kids’ cereal. It was pretty funny to see their disappointed faces. Thanks for the new ideas! 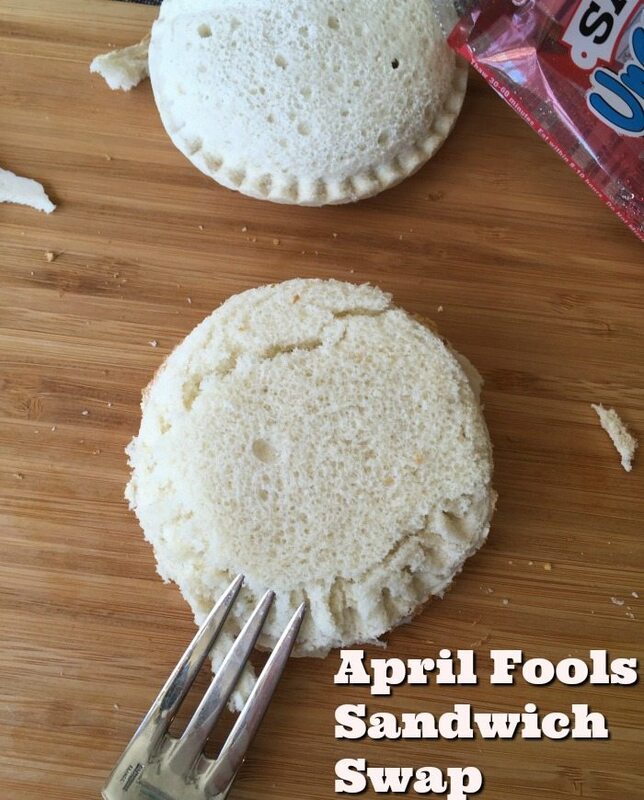 I don’t think I’ve ever pulled any food pranks on April Fool’s, but I love these! These are too cute. I love a good prank and would probably pull a food prank at anytime during the year.